Dr. Cotner grew up in Lycoming County and continues to be a resident of Muncy, PA. He graduated from West Virginia University with a B.S. in Exercise Physiology and with a minor in Aquatic Therapy. He then pursued and received his Doctorate of Chiropractic from Palmer College of Chiropractic in Port Orange, Florida. While at Palmer, Brandon also acquired several technique certifications--Flexion Distraction Technique, Instrument Assisted Soft Tissue Mobilization Technique, Trigger Point Technique, and Logan Basic Technique. Besides being a provider of chiropractic services, Dr. Cotner is a life-long patient of chiropractic care, himself. In his free time, he enjoys sports, exercise, and spending time with family and friends. He is excited to be back “home” and looking forward to bringing a unique chiropractic experience to the area. Kelle (pronounced "Kelly") is a licensed family nurse practitioner. She is now accepting patients interested in incorporating modern medicine with the emotional, mental, physical, and spiritual aspects of healing the human body. Achieving optimum health and wellness for you and your family in primary care is her goal as your practitioner, and she looks forward to spending time with you. 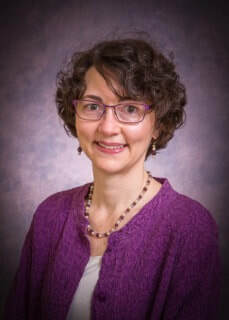 Kelle graduated from Walden University with her MSN as a Family Nurse Practitioner, and she is a native of Williamsport, PA.
Ann is a licensed occupational therapist. She has extensive experience with pediatric, adult, and wellness-based occupational therapy in a variety of settings. She uses her keen insight to treat patients with a holistic approach that includes both hands-on and hands-off modalities. Ann earned her Masters of Occupational Therapy from the University of Puget Sound in Tacoma, Washington. She was the Founder and Owner of Kidswork, Inc in Lewisburg until 2007 and currently practices at Center for Body Balance in Williamsport, where she will continue seeing patients. Her wellness sessions include gentle manual therapy techniques along with conversations about eating, thought pattern and lifestyle changes that can help bring you into greater balance physically, emotionally and spiritually. Michele has over twenty years of experience as a physical therapist. Her intention is to empower individuals through cultivation of self-awareness and self-care. She creates a safe space in which clients explore the teachings and techniques of yoga therapy as a means to improve health and well-being. She utilizes craniosacral, lymphatic drainage, and other therapies to facilitate the innate healing response, restore balance to the musculoskeletal and nervous systems, and reduce pain and inflammation. With more than 20 years of experience as a therapist for both children and adults, Lucy Heggenstaller brings a heart centered approach to heal emotional pain that may present as anxiety, depression or PTSD. She helps individuals or families navigate losses or life changes and does her best to help people cultivate insight into themselves and others and to become more masterful in managing their own emotions. While she is trained in many modalities, one of her favorites is Eye-Movement Desensitization and Reprocessing (EMDR) which uses bi-lateral stimulation to help people release negative cores beliefs, deep emotional pain and at times somatic symptoms- freeing them to access life affirming and empowering perspectives on the experiences they endured. As an Imago Relationship Counselor, Lucy uses communication exercises, family of origin work and a special dialogue process to help couples improve their relationships and gain compassion for each other. 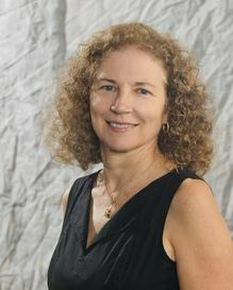 In her work with young children, Lucy uses play therapy techniques, family systems theory and parent coaching to help families function more effectively. Her extensive understanding of the human energy system and the chakras informs her work with people ready to make changes in their lives or to follow their soul’s calling. A modality that blends cognitive therapy and eastern medicine is Psych-K which uses energy testing and meridian points to augment psychological healing. Jacqueline completed her 500-hour yoga training at Maryland University of Integrated Health. She graduated with her Master of Science Degree in Yoga Therapy from Maryland University of Integrated Health in July 2017 and is certified as a yoga therapist through the International Association of Yoga Therapists.. Other training include Baptiste Level 1 training, and she is traveling to India in May 2018 for an additional 500-hour teacher training. Jacqueline studied at Indiana University of Pennsylvania and holds a Bachelor's degree in Kinesiology. She is currently certified as an Exercise Physiologist through the American College of Sports Medicine. 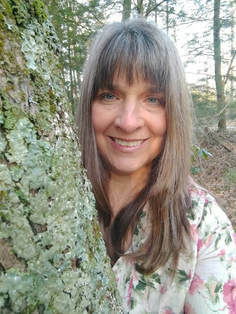 She has worked as a personal trainer and group exercise instructor at the Fitness Factory, yoga teacher at Timber Power Yoga, and teaches at Pennsylvania College of Technology. David​ is a licensed massage therapist and educator who offers both therapeutic massage and healing energy sessions. He has also completed Kinesio taping certification training. David is a powerful healer who uses a variety of techniques to personalize his sessions to individuals and their needs. His massage techniques include Swedish, Shiatsu, Tunia, Reflexology, Proprioceptive Neuromuscular Facilitation, Trigger Point neuromuscular therapy, Active and Passive muscular release, and acupressure chi circulation. For his healing energy services, David offers Spiritual healing, Sacred oils, Reiki, Integrated Energy (Healing with Angels), Qi Gong, Shamballa Multidimensional healing, Crystal & Stone therapy, sound therapy, and Aculaser Meridian therapy. Shelia Barto is a Reiki Master of the Usui/Holy Fire system of healing. As the owner of a jewelry and gift shop, a licensed practical nurse at Muncy Valley Skilled Nursing—not to mention a single mother, she is no stranger to stress! Shelia got involved with Reiki years ago based upon the recommendation of a friend and has experienced many of the benefits of this practice. She has made it a point to bring Reiki into her life on a more in-depth level and wishes for everyone to experience the benefits—particularly stress reduction and relaxation—that she has received. Dave Bellomo's passion and purpose is to design and implement programs that will foster healthy lifestyles and positive fitness experiences for everyone that he encounters. He believes that to be happy we must be the best version of ourselves and strives to help his clients unleash their potential. During his 25+ years in the fitness industry, he has directed or has been a senior assistant at multiple fitness centers. In addition, he was the owner/operator of his own facility for eight years, which gave him a very unique and hands-on perspective regarding programming. He holds a Master’s degree in Exercise Science, a Bachelor’s degree in Health Science, and certifications from the National Strength and Conditioning Association and National Academy of Sports Medicine. He is the author of two books and numerous articles on fitness and wellness, including the wellness column, Abundant Living. Most importantly, he is happily married and the proud father of five children. Mr. Haun began l​earning Amma from master John Elke in 1999 while living in San Francisco CA. After a three-year mentorship with Mr. Elke and becoming certified through the Acupressure Institute, Mr. Haun began his practice in 2002. He also teaches qigong and is a certified yoga instructor.